Samyang is about to release a new version of its 8mm 1:3.5 Aspherical IF MC Fish-eye CS lens for Nikon single-lens-reflex cameras. Now equipped with a chip that can pass on aperture information to the camera body, the Samyang AE 8mm f/3.5 Aspherical IF MC Fish-eye CS is designed for cameras with a DX sized sensor. The optical formula comprises 10 elements in 7 groups, including one hybrid aspherical lens element designed to reduce chromatic aberrations. 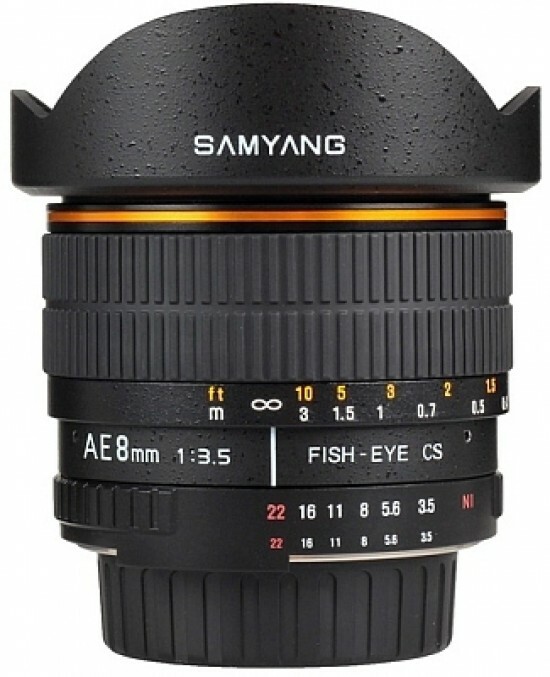 The Samyang AE 8mm f/3.5 Aspherical IF MC Fish-eye CS lens has a suggested retail price of €325.